– much of this document has been excerpted from Pace’s book: Lifespan Integration: Connecting Ego States through Time. Repetitions of the LI Time Line allow the body-mind to re-organize. Lifespan Integration therapy is based on the hypothesis that much psychological dysfunction results from insufficient neural organization. Due to trauma or neglect experienced during childhood, there may be a lack of connectivity between isolated neural networks which represent separate selves and self-states. Alternatively, problems could be caused by suboptimal integration between various regions and layers of the brain. Through the process of repetitions of the LI Time Line, the self system becomes increasingly more and better organized both in space and in time. This increase in organization occurs in part due to the many shifts between selves and self-states which are required by repetitions of the LI Time Line. 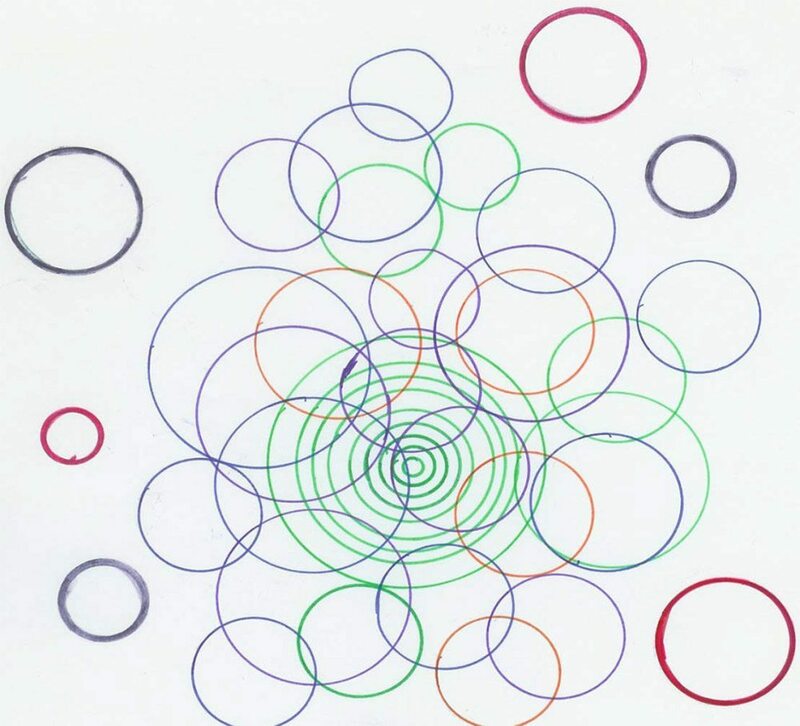 With repetitions of the Time Line, transitions between self states become more fluid. This fluidity also contributes to the stability of the self system. These shifts between multitudinous self states are made in the presence of a therapist whose calm and steady presence aids the client with emotional regulation and containment throughout the process. The therapist’s body-mind coherence is transmitted to the client in the same way that a parent transmits coherence (or lack thereof) to her child. Repetitions of the client’s Time Line of memory images reinforce the new neural states, and help to construct a more coherent life narrative. At the same time this builds a more solid core self. The client’s life narrative becomes more integrated and thus more coherent through many repetitions of the client’s Time Line of memory cues in the presence of a coherent and emotionally attuned Lifespan Integration therapist. After several repetitions of the Time Line of memories and images, the shifting between states becomes more fluid. Likewise, the client’s autobiographical narrative becomes better organized and more coherent. The client begins to see himself as existing throughout a continuum of time and space. The client’s memories begin to flow from one year to the next, becoming more inclusive with each repetition. The memories which surface spontaneously in this process will share the feeling tone of the targeted trauma. By following this emotional theme through time, the client gains insights about the defensive systems he has employed, and the patterns he has played out as a result of his interpretations of emotionally impactful events. From this detached state of awareness, the client is able and willing to drop archaic defenses, and to adopt new and more adaptive strategies. Through the process of repetitions of the Time Line of memories and images, the client creates a global map of himself which spans time and space. Once this neural map is in place, the client is able to move through state transitions fluidly, and his memories become more organized across time. Once an individual has developed a neurological map of self that allows him to see himself as existing continuously throughout his entire lifespan, it is no longer possible for that individual to become frozen in time or even to be triggered by an implicit memory. Repetitions of the Lifespan Integration Time Line result in a solid core self. the establishment of an internal map of self across space and time within the developing child. Above diagram represents a lack of coherence in the life narrative. 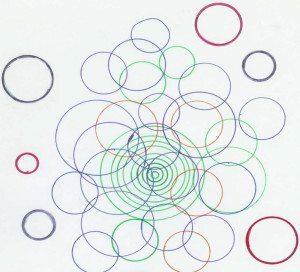 Life stories are not interconnected, resulting in a fragmented self system with no solid core. 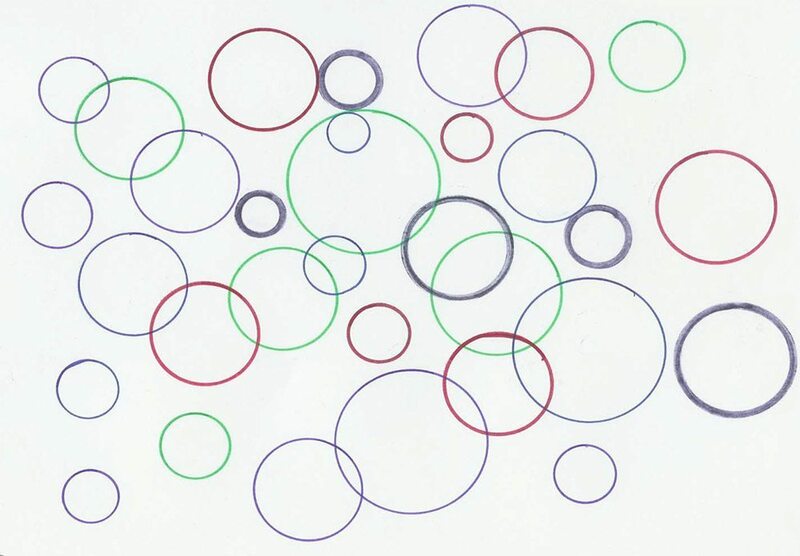 This diagram represents a fragmented self system of separated neural networks. There is no solid core or ‘center’ of the self. Lifespan Integration therapy increases internal coherence, eventually resulting in a more solid core self. Our most fragmented clients will need many sessions of Lifespan Integration Birth to Present and Attunement protocols. During these protocols the client reviews images of himself throughout his life, beginning from birth, while he watches his attuned and coherent LI therapist hold a life-like doll representing his baby self. This work gives the client, via his mirror neurons, the attunement and positive feelings he didn’t receive as an infant from his early caretakers. Over time this work helps the client to build a solid self and positive self-regard. Lifespan Integration standard protocol can be used to clear trauma from most clients’ self systems, even when these clients are somewhat fragmented. The most fragmented clients (DID and DDNOS) may become too activated by Lifespan Integration therapy if the LI therapist is inexperienced. The therapist’s ability to stay attuned to the client, and the therapist’s ability to adjust the rate of movement through the Time Line memory cues in tune with the client will prevent the client from being re-traumatized. These skills are skills which are developed with practice using Lifespan Integration. The therapist’s attunement with the client is very much like the attunement between a parent and an infant. The knowledge of when to move faster and when to go slower through the Time Line is based on neuroscience and often feels counterintuitive to empathic therapists who have been trained to use cognitive behavioral therapy and other more rational, left brain hemisphere methods. Adult clients can be ‘triggered’ by implicit memories. Adults who experienced or witnessed overwhelming and terrifying events when they were children, and who did not have adequate parental protection and support available, often do not have explicit memories of what happened to them. They will, however, have implicit (emotional and bodily) memories of these events stored in their neural systems. When implicit memories are triggered in the present, the individual ‘remembers’, but has no awareness that s/he is remembering anything. Along with the implicit memory, s/he may experience impulses to react defensively. 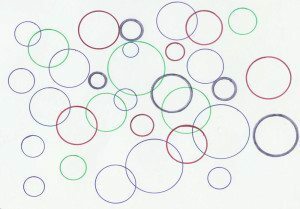 These impulses may be experienced outside of conscious awareness, i.e. physiologically or somatically. How the traumatized child interprets what happened, i.e. the mental schema he or she uses to make sense of the trauma, may be ultimately even more destructive to the child’s emerging sense of self than was the trauma itself. The child’s interpretation is dependent upon: 1) the age and developmental stage of the child at the time of the traumatic event, and 2) the amount of emotional support and factual information which was available at the time of or soon after the traumatic event (usually from a loving and supportive adult), which could help the child make sense of the event. We know that when a child experiences severe trauma without sufficient support, selfstates can remain frozen at the time of the trauma. 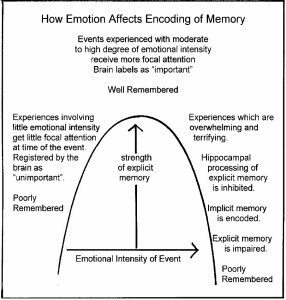 When those states are triggered through activation of implicit memories, the individual feels as though he or she is reexperiencing the trauma in the present. Neural systems are plastic (changeable). Neural plasticity is the condition which exists when many neurons are firing at the same time. More neurons firing at the same time increases the likelihood that new synaptic firing patterns will occur. Both new learning, and changes in old patterns are more likely to occur under conditions of neural plasticity. Until recently the prevailing view among neuroscientists was that the brain develops beginning shortly after conception and continuing throughout childhood. It was thought that once this developmental process was complete, there would be no further synaptic growth and certainly no possibility of ongoing neurogenesis. There is now ample evidence not only of brain plasticity but of the capacity of the cerebral cortex to reorganize itself. Neural networks are not static, but rather dynamic and changing. Changes in our experiences correlate with changes in our neural circuitry; however neural change is more likely to occur when we are attending to our experience and when we are emotionally engaged. Recent research has shown that synaptic changes are more likely to happen when attention is focused. “Passive, unattended, or little-attended exercises are of limited value ….Plastic changes in brain representations are generated only when behaviors are specifically attended.” (Schwartz & Begley, 2002, p.224, quoting Merzenich and Jenkins). Neural networks are more plastic when subjects are emotionally aroused. Research has shown us that learning and memory are enhanced when subjects are optimally emotionally engaged. 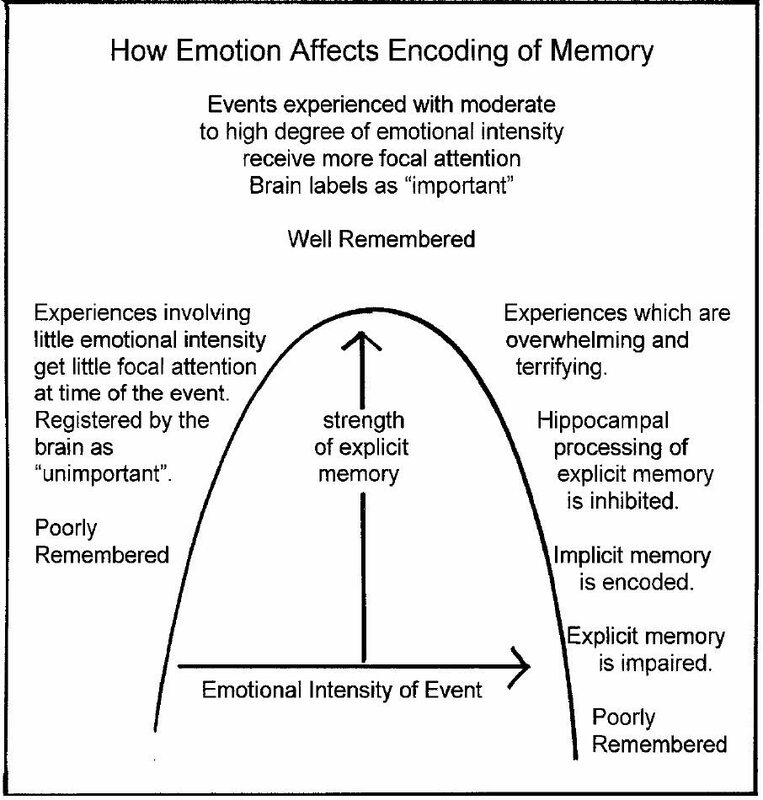 LeDoux (2002) describes how emotions contribute to neural plasticity. Extremely intense emotional states overwhelm the body-mind system and can be retraumatizing. These extreme emotional states inhibit hippocampal processing and can cause flooding or dissociation. Re-experiencing the intense emotions of a past trauma can re-traumatize the system. Encouraging clients to re-enter intense emotional states does not contribute to neural plasticity, does not ‘release’ the emotion, and does not contribute to healing. This is why an event which carries a certain feeling tone is certain to remind us of other times we felt the same way. Standard protocol LI clears archaic defense mechanisms from the body-mind. The memory we choose to work on in an LI session is called the “source memory”. 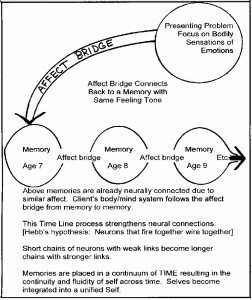 The source memory can be chosen by the therapist or by the client; however the best way to be certain that the source memory is indeed related to the current problem is to follow an affect bridge from current bodily distress. A client with a solid enough core self will be able to identify bodily sensations in her core which correspond to a present day problem or issue which she wishes to target with LI. The client focuses on her bodily distress while discussing her presenting issue. 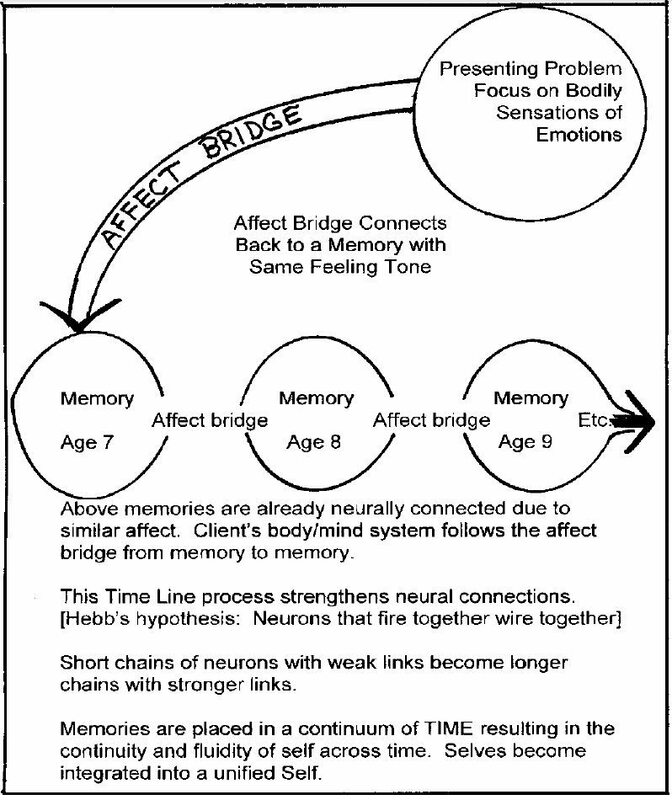 An affect bridge within the client’s neural system leads to a source memory. The source memory will have the same affect as the presenting problem. This only works with clients whose cores are solid enough to follow affect. The therapist does not interact directly with the child self but rather coaches the adult self as shown in the above diagram. The therapist’s knowledge of childhood development will guide the therapist as she coaches the adult client to intervene with his child self. A small child in distress will need to be held and comforted, and will need very basic information about the abuse situation. An older child will benefit from support and more factual information. A child who has been neglected will need actions which show that the adult self values that child and enjoys his company. Therapists who have experience working with children will intuitively know what interventions will work best for each child self in each situation. This holds true even when the client, sitting in the therapist’s office, is an adult. For best results with LI therapy, the therapist understands children and teens, and knows what they need at each developmental stage. The therapist uses this understanding to design the imaginal interventions which can best give the client’s younger self the information and support which he needed but did not receive at the time of the past traumatic memory. During each Lifespan Integration standard protocol session, the therapist will design and structure various interventions to aid and support the client’s younger self (who is ‘frozen’ or ‘stuck’ in past time within the adult client’s neural system). The therapist will then ‘coach’ the adult client to intervene with his younger self, providing the support which the therapist believes will help the younger self. The therapist bases the coached interventions on his knowledge of child development, his knowledge of the particular traumatic event being targeted, the client’s history, and the behavior and questions of the client’s younger self as seen by the client internally in the imagery. As the imaginal work proceeds, the child self’s understanding and affect will spontaneously change in the imagery within the client’s mind. As the imagery unfolds and changes with each repetition of Steps 3 to 7 of the LI protocol, the therapist asks for feedback from the client about what the child self is doing, and how he seems. 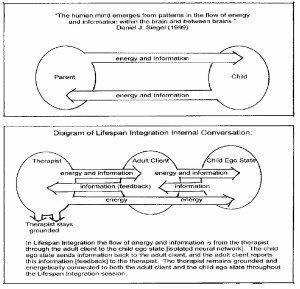 Lifespan Integration uses active imagination to intervene in the past to: 1) repair early life experiences, and 2) to insert positive imaginal interactions with a new attachment figure (the adult self). Active imagination is NOT guided imagery. Active imagination was developed by Carl Jung, and allows conscious interaction with unconscious contents. In some ways active imagination is similar to dreamwork. Working to change the past imaginally doesn’t create “false memory” in the client. The client’s memory of the original event remains intact, and sometimes the original traumatic event is remembered even more accurately after LI therapy. The client remains fully aware that the imaginal interventions coached by his therapist did NOT happen in past time. Even so, ‘reconstructing’ the past memory to include new and more supportive imagined ‘experiences’ brings positive and lasting change to the client in the present. Research done in 1995 by Pascual-Leone demonstrated that imagined movements created changes in neural networks to the same degree that actual physical movements did. “Like actual, physical movements, imagined movements trigger synaptic change at the cortical level. Merely thinking about moving produced brain changes comparable to those triggered by actually moving” (Schwartz & Begley, 2002, p. 217). 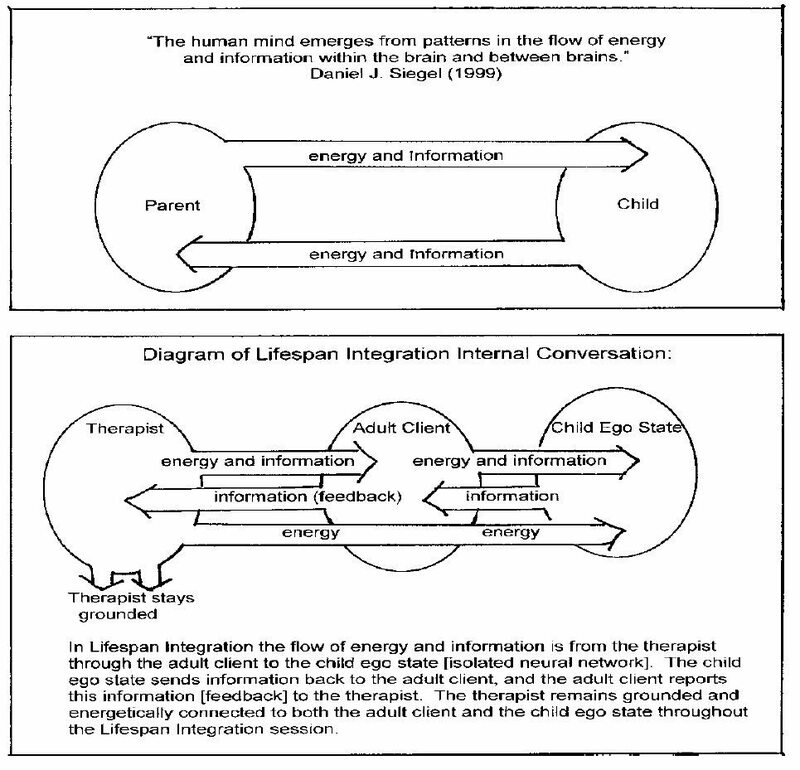 In Lifespan Integration therapy the therapist and client in effect co-construct the client’s life narrative. During this process, the therapist stays attuned to the client while reading the client’s memory cues. As the client ‘views’ past scenes he re-experiences memories in chronological order, leading to increased integration and a more solid self structure. Repeated chronological excursions through time in the presence of an emotionally available and profoundly attuned therapist allow the client to create coherence among selves and self-states across time and across contexts. As the client repeatedly views the ‘movie’ of his life, more positive memories and insights will begin to emerge. Neural plasticity is enhanced through the client’s optimal emotional engagement as he ‘views’ his life. The client’s ability to stay optimally emotionally engaged is facilitated by the therapist’s containment and attunement. Neural plasticity is also enhanced as the client’s attention stays focused on the memory images of his life including the accompanying smells, sounds, and bodily sensations which correspond to his changing emotional states. Due to the repetitive nature of the process, the new firing patterns between neurons and neural networks are reinforced. Cozolino, Louis. 2002. The neuroscience of psychotherapy: Building and rebuilding the human brain. New York, NY: W.W. Norton and Co.
Hannah, Barbara. 1981. Encounters with the soul: Active imagination as developed by C.G. Jung. Santa Monica, CA: Sigo Press. LeDoux, Joseph. 1996. The emotional brain: The mysterious underpinnings of emotional life. New York, NY: Simon and Schuster. LeDoux, Joseph. 2002. Synaptic self: How our brains become who we are. New York, NY: Penguin Putnam. Levine, Peter A. 1997. Waking the tiger, Healing trauma: The innate capacity to transform overwhelming experiences. Berkeley, CA: North Atlantic Books. Schore, A.N. 1994. Affect regulation and the origin of the self: The neurobiology of emotional development. Hillsdale, NJ: Lawrence Erlbaum Associates. Schore, Allan N. 2003. Affect dysregulation and disorders of the self. New York, NY: W.W. Norton and Company, Inc.
Inc. Siegel, Daniel J. 1999. The developing mind: Toward a neurobiology of interpersonal experience. New York, NY: The Guilford Press. Watkins, J.G., The Affect Bridge: A hypnoanalytic technique, International Journal of Clinical and Experimental Hypnosis, 19, pp. 21-27, 1971.